Sea salted potato crisps, Lovingly made in Yorkshire, Family approved - quality & freshness approved, Cooked in pure sunflower oil, Sprinkled with sea salt, Gluten-free, Suitable for vegetarians and coeliacs, We pride ourselves in making the original and tastiest crinkle cut crisps with a good, honest and simple approach. Firstly, we take the finest and freshest whole potatoes. Then they're sliced, crinkled and lightly cooked in sunflower oil for the perfect crunch. We keep our flavours simple and true so that's exactly how they taste. 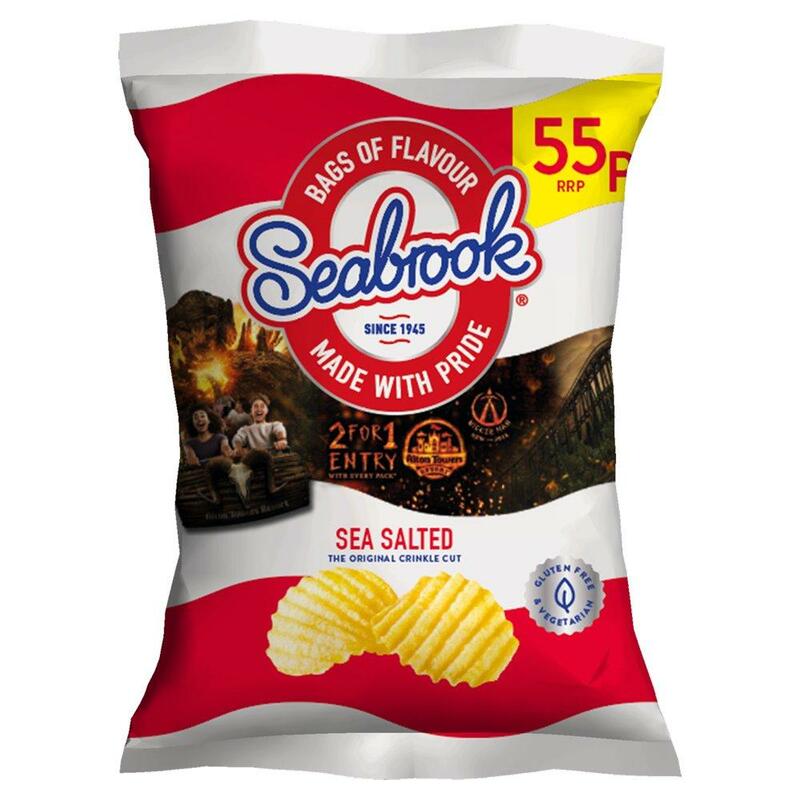 Find out more about Seabrook in their own dedicated category.